Install JDeveloper to your local development machine, perform a typical installation. 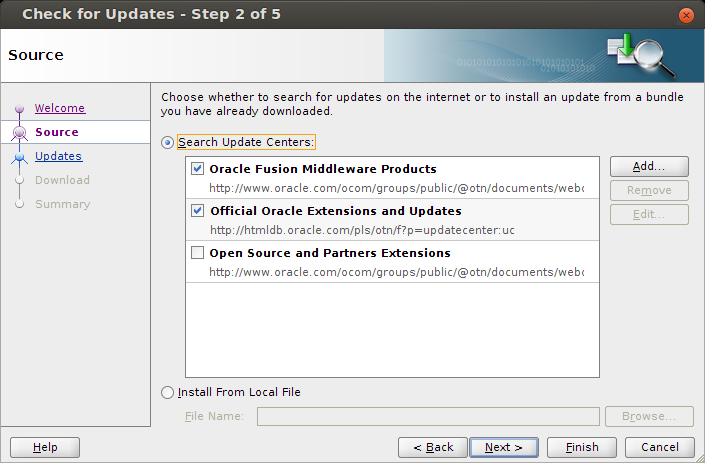 After JDeveloper is installed, open up „Check for Updates“ dialog under the „Help“ menu. We have to further extend JDeveloper for working with a running WebCenter: Spaces instance. There you will find three directories, two of them starting with „copy_to_….“. „copy_to_common“ includes a common directory that contains WebCenter Portal WLST commands. WebCenter Portal’s WLST commands are required to upload customized resources directly to the Spaces application from DesignWebCenterSpaces.jws. 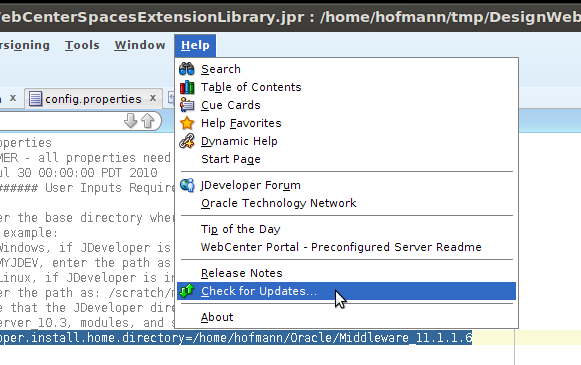 „copy_to_jdev_ext“ includes oracle.webcenter.portal.jar. 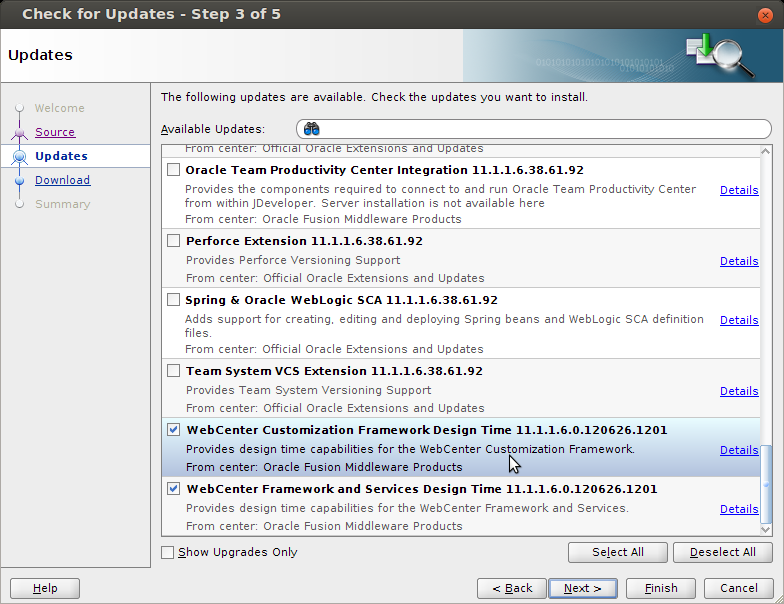 Required update to Oracle JDeveloper WebCenter Portal Framework and Services Design Time Extensions.